Well, this was an interesting competition yesterday in Modena. The qualification went quite well and so I ended as first in the final. I didn't know who was joining me in the final and as I found out, that I was joined by other 14 people I was totally shocked. 10 people flashed one problem and so they all got into the final as 6th. 15 people in a final?? I had never seen something like this before. The head judges decided to do the final with the semifinal formula, 4 min climbing, 4 min rest, because with the classical final formula it would have taken an eternity. I started well by flashing the first two problems. The third one caused me some problems but eventually I did it in my fifth try. The last one was looking amazing but unfortunately it turned out to be too hard and so I couldn't climb it. With 3 tops in 7 attempts I thought I would be second, but immediately after the last boulder Steve told me that we both have the same amount of tops and attempts, and so I won because of count back to the qualification. Yesterday I came home from L' Argentiere where we competed in the second European Youth Bouldering Cup. 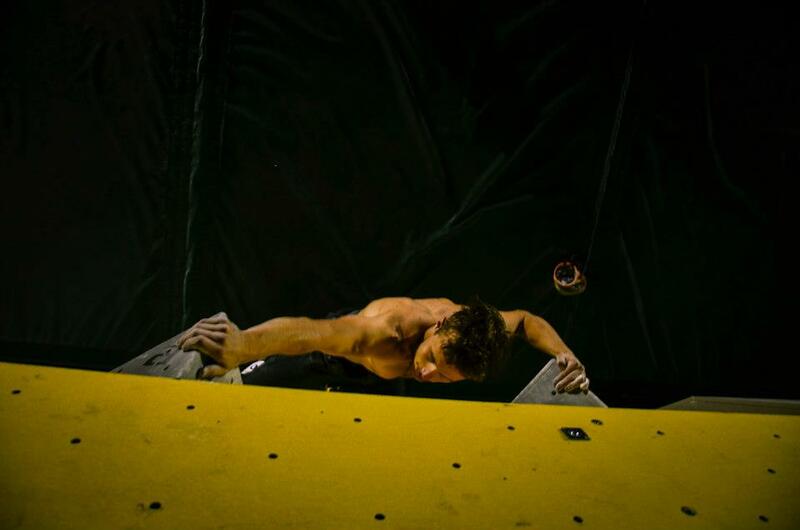 The comp went quite well and eventually I managed to win in front of my friend Alex Khazanov and Nathan Phillips. Even if I had no skin, today I decided to go to Pontives for a quick session on the roof project. 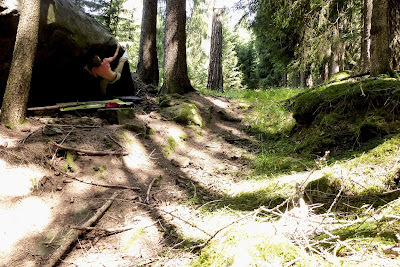 I thought I would be too tired to climb the problem but somehow I managed to fight my way through the roof doing the first ascent of yet another amazing boulder in Pontives. Why, are you asking? Well I'll try to explain it to you. 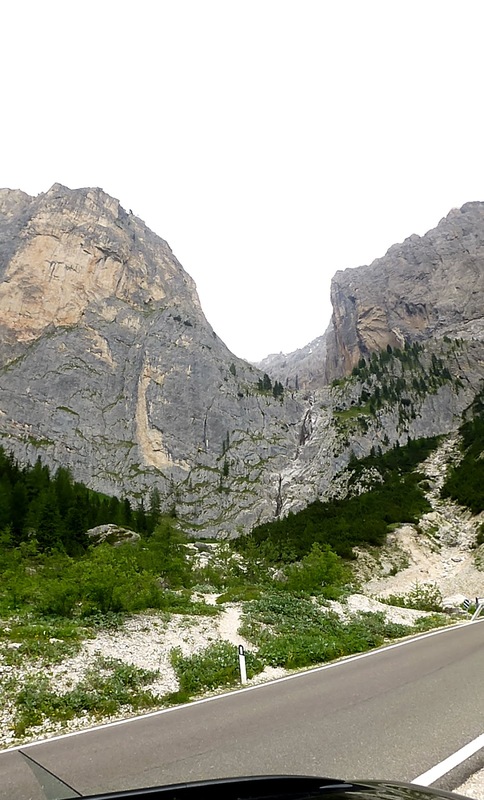 A little more than a week ago I was in Sofia competing in the EYC, the past weekend I went bouldering in Pontives and today I climbed a multipitch route on the big Sella massif. All this things are pretty different. 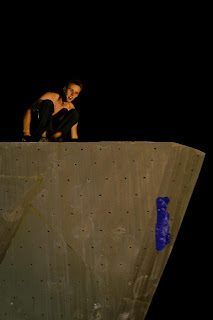 In Sofia I climbed in a competition with people from every different parts of Europe. In Pontives I worked on my project again, together with Ale and my little brother. And today I climbed 9 pitches alternating the lead with my father. The one thing that combines these three different experiences is the climbing. But it's not the climbing itself what I love about climbing. 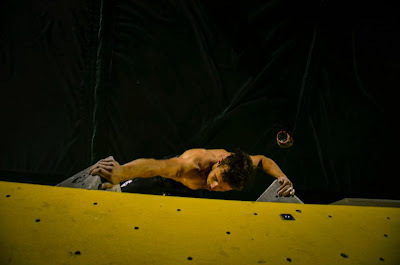 What I really love about climbing is the combination of climbing as a sport and all the various possibilities that are connected to this amazing sport. You get to see different countries. You get to climb with so many different people. 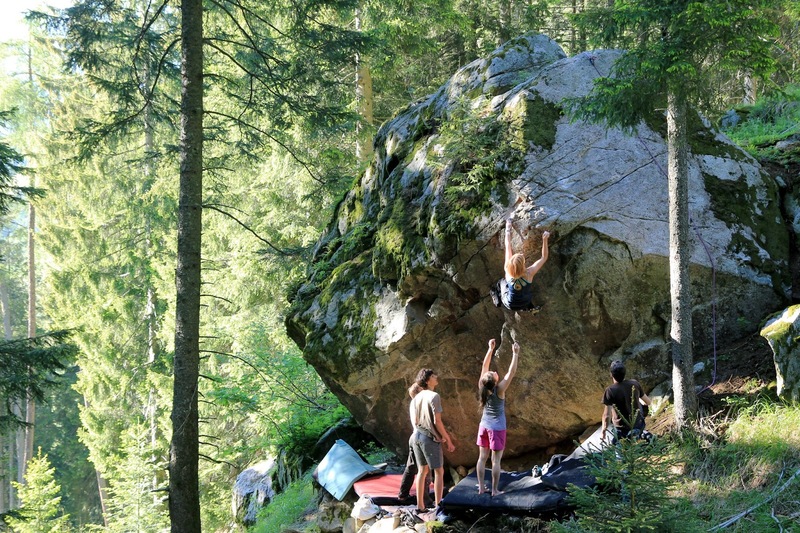 You can go sport climbing, bouldering, multipitch climbing, in the gym, on little boulders, on 50 meter cliffs, on huge big walls. You can climb onsight, you can project things, you can climb toprope, if you are crazy enough you can also climb free solo. Whatever. 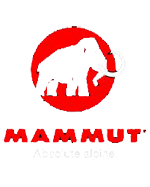 There are so many options you can choose from, if you're about to go climbing. And exactly that's what I love about climbing. The last few weeks have been quite busy so I had not that much time to update this blog but to be honest this is just an excuse for the fact that I've simply been too lazy. I just came home from one of the many competitions and because I've some time now I forced myself to write a new blog post. Between all the competitions I took part lately, luckily I found some time to get to climb on some rock. 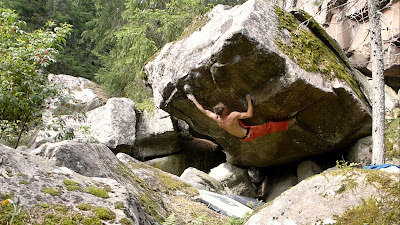 I went to Schenna twice, where I am always amazed by the amount of climbed problems and projects that still have to be climbed. With a couple of friends we managed to do a few amazing first ascents and climbed some of the already existing boulders. 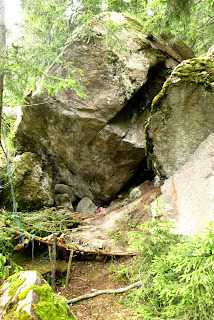 Since the bouldering area in Schenna is kind of "secret" there is no guide book or no topo and consequently most of the boulders are not even graded. So basically you get there and you climb whatever is inspiring you. That's what makes Schenna so special for me. Moreover I finally had the opportunity to go to Pontives again. Since I climbed "Lose Yourself" I've not been in Pontives anymore, perhaps also because I had no real project, and so I was motivated to brush some new lines and hopefully also climb them. Eventually I decided to finish cleaning this awesome, tall line, which my friend Martin Dejori and I started cleaning already about two years ago. After spending three days into building a decent landing and brushing off all the moss, I finally started trying the boulder. I haven't climbed the problem yet, but Rudi, who tried the boulder with me, managed to climb the left exit, adding a new 5 star line to the area. As I already mentioned, I had a lot of competitions in the last few weeks, including an Italian Cup in Ivrea, the Italian Youth Championship in Arco, two World Cups in Kitzbühel and Log Dragomer, the European Youth Championship in Grindelwald and the Climbo. The last one was the European Youth Cup in Sofia, the capital of Bulgaria. Unfortunately there were missing most of the strong guys so I knew that it wouldn't be difficult to get into finals. 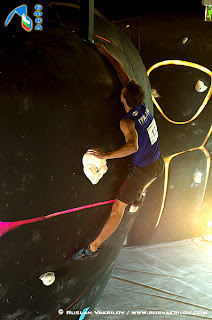 After a good qualification round I was sitting in first place having done all the 8 boulders. The finals on the day after where as good as the qualifications, and I managed to cope with the pressure winning in front of my friends David Firnenburg from Germany and Alex Khazanov from Israel. 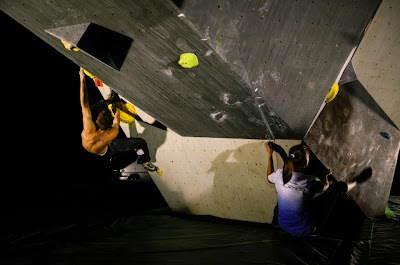 The last weekend I went to Grindelwald for the first European Youth Championship in bouldering. Since I felt quite strong in the last training sessions I went to the competition beeing confident and motivated to do a good performance. Unfortunately it turned out that I'm not that strong at all. I did an absolutely heinous performance on Saturday in the qualification and finished in 9th place. On Sunday we watched our team mates, who qualified for the finals, and then we drove back home. At about 18:30 we were in Merano and I wanted to do a quick session on my project in Algund. The conditions were actually perfect: around 15 degrees and a cold wind was blowing. Since there is no easy boulder on this bloc I had to get warm on the project. I climbed the topout once, tried the moves in the middle twice and then I did a try from the start. I didn't get the second hold well and I fell off. I gave a quick brush at the holds and then I already went for the next try. Every move felt super easily and 15 minutes after we got to the boulder I was already on top of it. Actually it was supposed to be my project, but it felt more like a boulder on which I use to get warm. So apparently I am quite in a good shape, but just on rock. I definitely should not complain about this, but I still have to compete in some competitions and I want to climb well in them. Unfortunately the strength I have on rock doesn't help me much in those comps. But ok. In the upcoming summer the main focus will be on rock climbing so it's ok if I am not feeling that strong on the plastic holds right now =). Well, with the World Cup in Kitzbühel, this year's competition season has started. 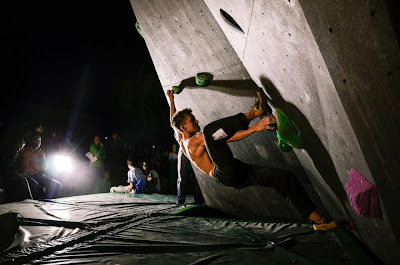 This past Saturday the "Climbo", a traditional bouldering competition in South Tyrol, was held in the Salewa gym in Bolzano. The Climbo is always an amazing competition and a good opportunity to meet a lot of friends. So I was really excited to get to climb with many nice people and to give my best in the comp. The last few years I've always been super motivated and confident to climb well, but this year it was a little different. Of course I was super motivated but actually not that confident to do a good performance. Why? Well, I'll explain you why. 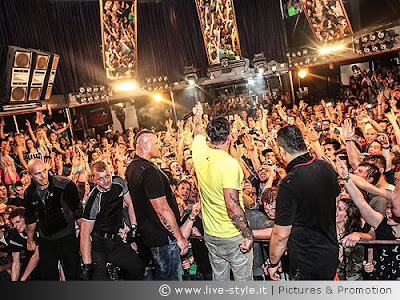 About a month ago I found out that Sido, a super famous German rapper, would come to Brixen. Obviously I didn't want to miss out such an amazing event (which eventually turned out not to be that amazing at all) but as luck would have it, the date of the event was the 3rd of Mai, the day before the Climbo would take place. Consequently I thought that I would not be in a good shape the day of the competition and I had to accept that. Fortunately I was totally wrong. I went through the qualification round feeling strong and not even a little bit tired. I made one stupid mistake which cost me the first position, but I also knew that I had the chance to make up for this little mistake in the final. After hanging out in the sun, eating an awesome burger, drinking a beer and playing cards, my fingers started to sweat because I couldn't wait to finally climb the final. The time in isolation was as boring as always. I did a good warm up session and felt ready to crush! First boulder: flash. Second boulder: flash. Third boulder: third go. I was sitting in first place after the first three problems with one more top than Steve, who was in second. When we went out to have a look at the boulders, before the final started, the last problem was looking quite easy. So I knew that I would just have to climb this last boulder to win, what made me even more nervous. The time passed and finally it was my turn. I brushed the holds and went for a good flash go. All of a sudden I had to struggle with a move, which I thought would be easy, and fell off the wall. Oh no!! I absolutely had to climb this boulder problem. I thought to be sure that I would be able to climb it, but now I was struggling with a move which seemed to be an easy one. Ok, I just had to keep calm. The next go was as frustrating as the one before and the time was running out. I jumped onto the problem for the next try with a minute left on the clock. I fell off again on the same move but I found out a little trick to make the move easier. I had time to make one last try. I was totally pumped and extremely tired. My fingertips were almost bleeding and my body was sore. Nevertheless I was happy. Yes, I was super happy. Sitting on top of the fourth problem in front of an amazing crowd, knowing that I had won, was one of the feelings I'll never forget. The last two years there has always been missing a little bit of luck to win the Climbo and now I had finally won this competition. What an amazing feeling!! 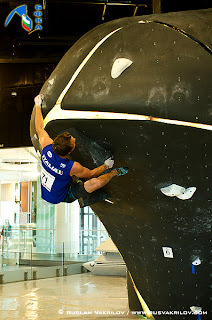 The Climbo was a cool event and the next weekend I'll already be climbing my next competition, my second World Cup in Log Dragomer. It is nice to be allowed to take part at all these comps but what I'm really looking forward to is some rock. Hopefully I will find some time in between all the days I'm spending on plastic, to get to climb outside again.